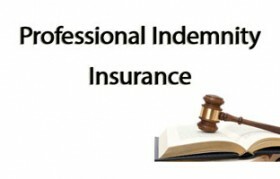 1) Professional indemnity insurance is required for qualified professionals like doctors, engineers, architects, lawyers and chartered accountants. 2) It assures them towards any financial loss resulting from a claim due to unintentional errors and omissions committed by them while rendering professional service. 3) For this insurance to kick in, the condition is that the loss must be to a third party who has suffered bodily injury or property damage. 4) Only civil liability claims are covered and any liability arising out of any criminal act or act committed in violation of any law or ordinance is not covered. 5) Professional bodies such as medical establishments, law firms, IT companies or financial institutions can also be covered.